In nature, atoms and molecules usually emit light at random times and in random directions and phases. Sunlight, candlelight and incandescent light originate in this way. By contrast, laser, an acronym for Light Amplification by Stimulated Emission of Radiation, is a deliberately stimulated form of light, a distinction that creates very unique properties. One of the most useful of these is that laser can be focused to a small, highly concentrated beam that does not disperse much over a long distance. But it is the high energy density of laser and thus its high processing speed and productivity that make it a cutting edge tool for certain industrial materials processing activities. 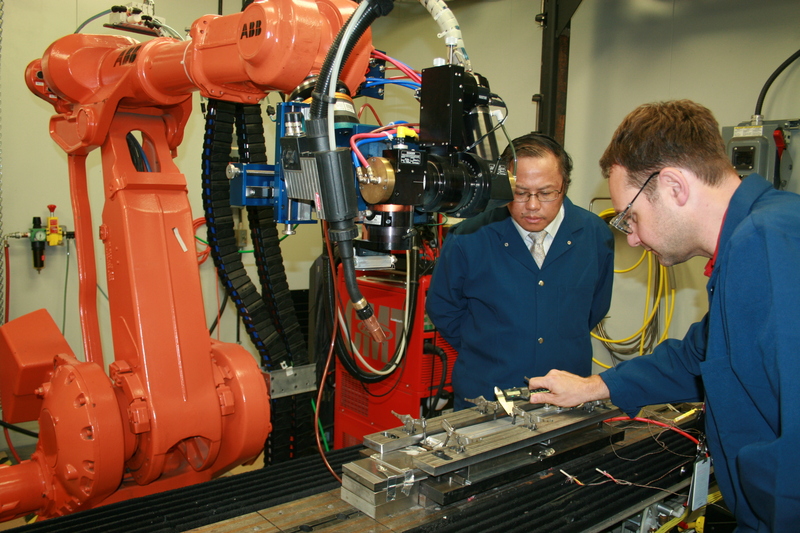 Laser-assisted machining at NRC. Credit: NRC. Though most of us would probably imagine the machining tools used in manufacturing to be sharp, large, or heavy, laser is none of these things. Yet it has proven to be a highly effective tool in machining, cutting, drilling, welding, additive manufacturing, cladding, repairing, and heat treatment. Other advantages over conventional methods include: a precise and controllable heat input, a small heat-affected zone, low residual stress and distortion, high dimensional accuracy, process flexibility and reliability, localized shielding and ease of automation, and the feasibility of on-site processing and manufacturing. As one of the most critical light-based technologies to come out of the latter 20th century, laser has found applications across many sectors and has evolved to include a range of wavelengths, power capacities and beam configurations, including gas (i.e. CO2), solid state, and optical fiber. In recent years, state-of-the-art fiber and diode lasers have begun to replace some conventional models and have thus become more popular for industrial materials processing, offering a profitable and reliable alternative in many manufacturing processes. At the National Research Council of Canada (NRC), the Structures, Materials and Manufacturing (SMM) laboratory employs laser for research into welding, cladding, repairing (remanufacturing), additive manufacturing, surface treatment and machining – all processes that are well suited to the aerospace, automotive, energy (hydroelectric, wind, oil, nuclear) and defence industries. 5.2 kW fiber laser welding system with ABB robot. Credit: NRC. One of the key challenges faced by aerospace component manufacturers comes down to commonly used materials such as titanium and nickel alloys that are difficult to cut, which can increase manufacturing time and send production costs skyward. 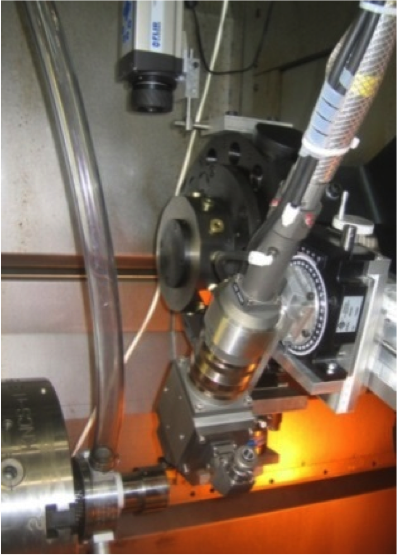 As an emerging technology being developed at NRC, laser-assisted machining directs a high-power laser beam to soften workpieces before cutting, improving the machinability of these materials. Using a simulation model, the laser beam spot size, power, incidence angle and feed rate are optimized to boost performance, control some of the material’s microstructure and mechanical properties, and prevent faulty outcomes. With fewer scrapped parts, better part quality, and extended tool life, reductions in material and energy resources can be achieved. Compared with conventional machining, laser processing translates into time saved, lower costs and better product quality – and the aerospace industry is paying closer attention. Hybrid laser-assisted turning and surface treatment. Credit: NRC. NRC has also developed novel laser-based welding and remanufacturing (repair) techniques for aerospace components in collaboration with Canadian partners. Conventional arc-based welding has high heat input that can cause degradation in the material. By contrast, the laser-based technique minimizes heat input, increases productivity, and reduces distortion – which is critical to assembling the manufactured components in an engine or aerospace structure. These and other research developments using laser as a manufacturing tool have boosted new aerospace applications of welding and remanufacturing technologies. Going forward, we will see laser-based manufacturing being used more widely in the aerospace industry. For example, laser welding has now been successfully adopted as an alternative process to conventional mechanical riveting for the lower fuselage panels of aircraft. Further work using high power solid-state lasers will help develop reliable joining techniques for advanced lightweight or high-strength aerospace materials. In addition, we will see more direct manufacturing of aerospace components that have any complexity of shape using a layer-by-layer additive manufacturing (3D printing) process in which laser is the cost-efficient and most widely used heating source. This technology has the potential to change the design, manufacture and distribution of products and open the door to lighter components, shorter lead times and lower costs, all of which may revolutionize the manufacture of many aerospace components. And in the quest for greener manufacturing, simultaneous laser-assisted machining and surface treatment with the cryogenic cooling of cutting tools will be part of future trends, helping eliminate oil-based or water-based cutting fluids, a major step towards reductions in resource use. Laser-based innovations are expected to play an important part in manufacturing in the years ahead, and laser will continue to be a powerful materials processing tool of great versatility. Our exploration of how to harness the power of light for better manufacturing is only just beginning. 1 – Shi, B., Attia, M.H., “Integrated Process of Laser-Assisted Machining and Laser Surface Heat Treatment,” ASME Trans., Journal of Manuf. Sci. Eng., 135(6), Nov., 2013. 2 – Bejjani, R., Shi, B., Attia, M.H., and Balazinski, M., “Laser Assisted Turning of Titanium Metal Matrix Composite”, CIRP Annals- Manufacturing Technology, Vol.60, pp. 61-64, 2011. 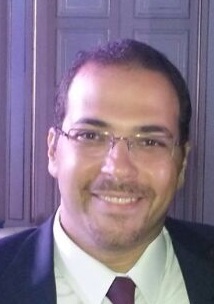 Ahmed Damir is a research officer at the National Research Council of Canada in the Structures, Materials and Manufacturing Laboratory. His background in modeling, design, simulation and manufacturing of aerospace materials, and high performance /high speed manufacturing processes has contributed to his work with many aerospace companies and several projects that led to industrialized technologies such as cryogenic technology, Minimum Quantity Lubrication, and laser-assisted machining. Xinjin Cao is a senior research officer at the National Research Council Canada at the Structures, Materials and Manufacturing Laboratory. He has been conducting research into laser-based manufacturing processes that include laser welding, hybrid laser-arc welding, laser remanufacturing (repair), direct laser deposition (additive manufacturing), and other advanced laser materials processing, primarily for aerospace and defence applications. 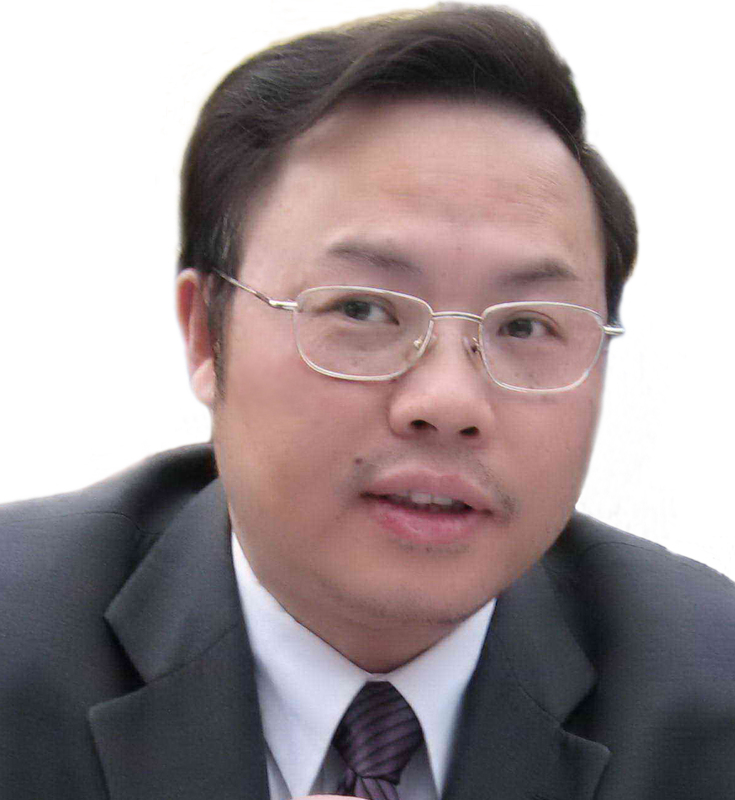 Dr. Cao has recognized research achievements in various areas of welding, laser remanufacturing, and aluminum alloy solidification.